FÖMO was born in Gothenburg, a new shopping experience in Mölndal Galleria. A concept pop-up store with a broad range of categories focusing with brands that are not easily available in Sweden. 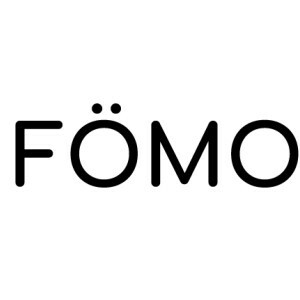 FÖMO is working on concepts that will benefit the community and will provide brands with the opportunity to engage with their customers. Similar to a micro-department store except that it is not just about the shopping, it is an event, exhibition and workshop venue. It is breaking down the barriers for international brands to enter a new market and provides Retail As A Service (RAAS). It lowers the risk for the retailer and provides the environment to test and launch new products or services. It is a place where retailers can engage with the customer to showcase and showroom their products. Brands are able to book space in the store through the We Are Pop Up online platform. Musicians and artist can take centre stage and the shopfront will be forever changing with an entrepreneurial approach in everything we do. Each brand has from 1 day to around 3 months to present their product or service. It is a testbed for the brand and a totally new experience for the customer. Like a physical lifestyle magazine, the content changes and is curated to make the store unique and exciting.